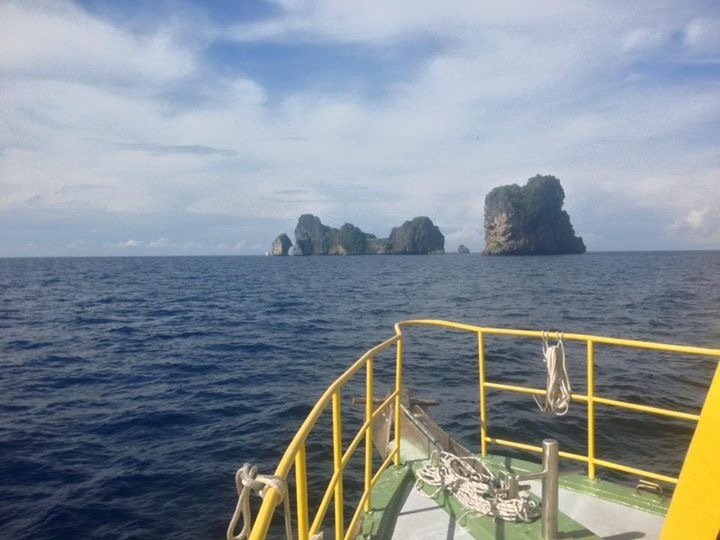 Andaman Dive Adventure Lanta brings guests diving to about 35 different dive sites. 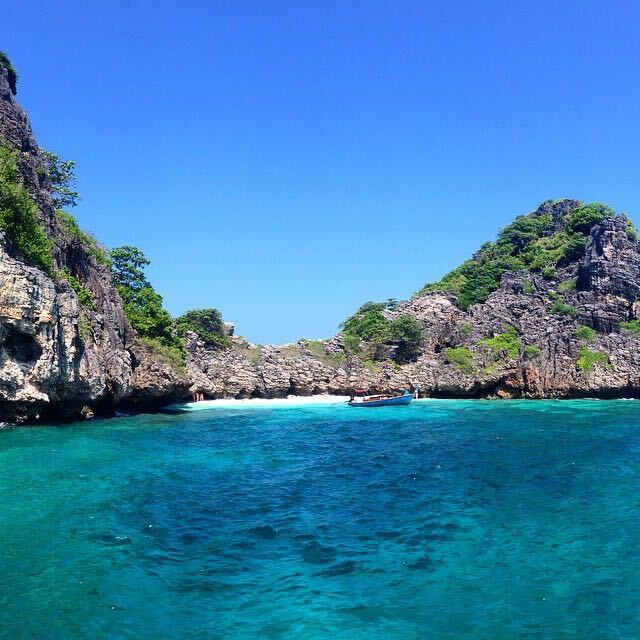 Lanta has the following dive area’s: Koh Ha, Koh Bidas, Koh Phi Phi, Hin Daeng & Hin Muang, Kled Kaew Wreck, Koh Yung, Anemone Reef & Shark Point, Koh Rok & Hin Luang. Some of these are local, others are far away. 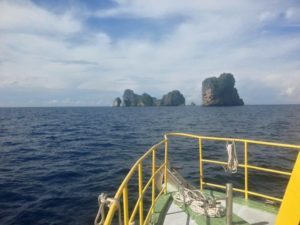 Because of the distance to far away dive sites (Koh Yung, Anemone Reef, Koh Rok and Hin Daeng), we charge divers an extra fee for gasoline. Depending on your dive experience and diving certification level, we assign divers to our divemasters (small diving groups, max. 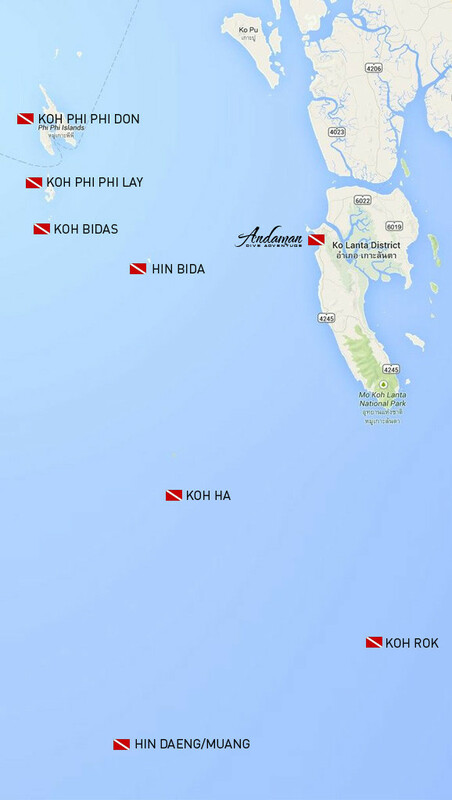 4 divers per Padi dive master). We can also advise on the best sites for you to dive. 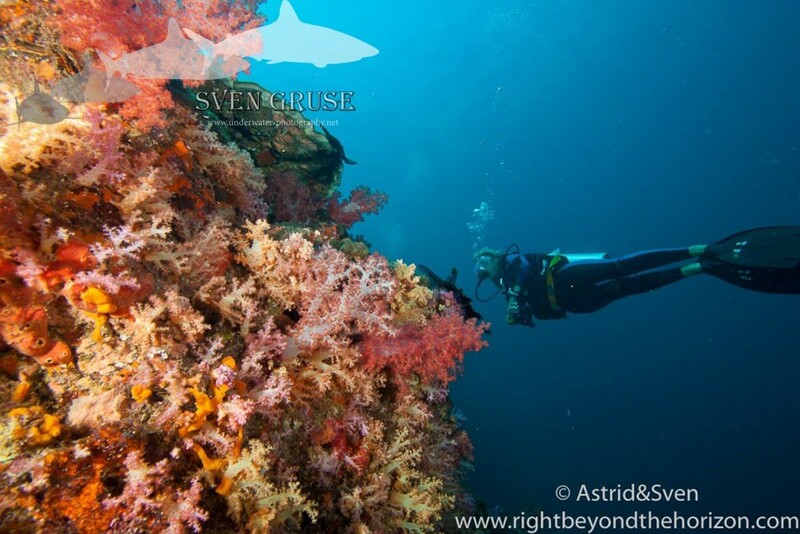 Each dive site has a great diversity of fish life and beautiful corals for all divers to enjoy. For more information about other sites, please contact us. If you are interested in Diving Packages please email us at info@andamandiveadventure.com for the best prices.